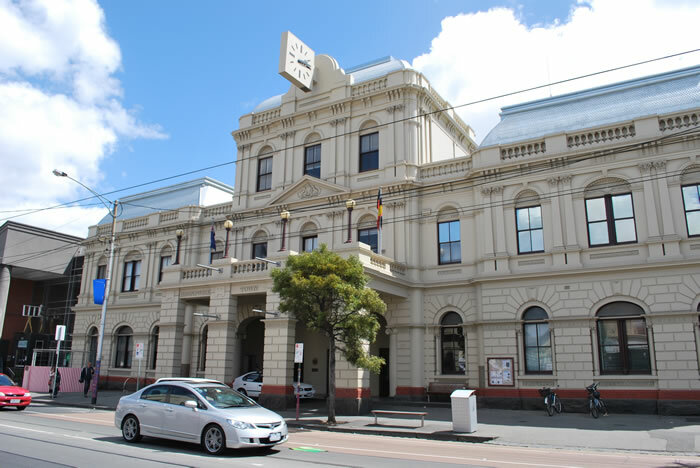 Brunswick Town Hall is at 233 Sydney Road, Brunswick on the corner of Dawson Street. Built in 1876, Brunswick Town Hall is a historic building in the centre of Brunswick. It was built in the second empire style and has recently had an external renovation. Less than 1 minute walk from tram 19, Sydney Road. Two-minute walk from bus route 506 on Dawson Street. Ten-minute walk from Jewell train station (500 metres). Street parking is available. Ticket parking across from the Brunswick baths on Dawson Street (400 metres). Free parking behind the Mechanics Institute on weeknights and weekends (100 metres).